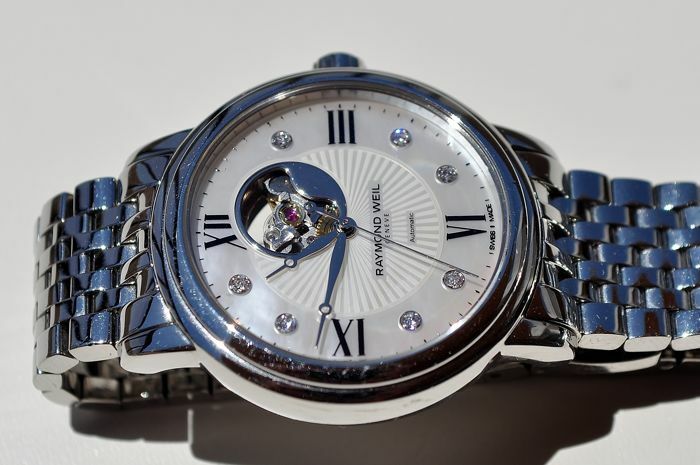 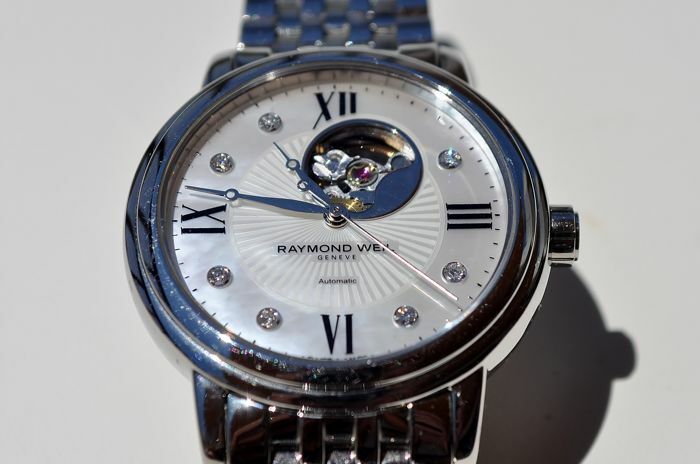 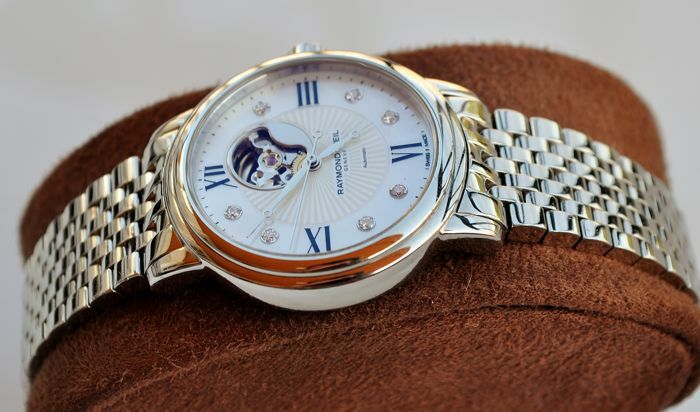 A great opportunity to acquire a Raymond Weil open heart in fantastic condition. 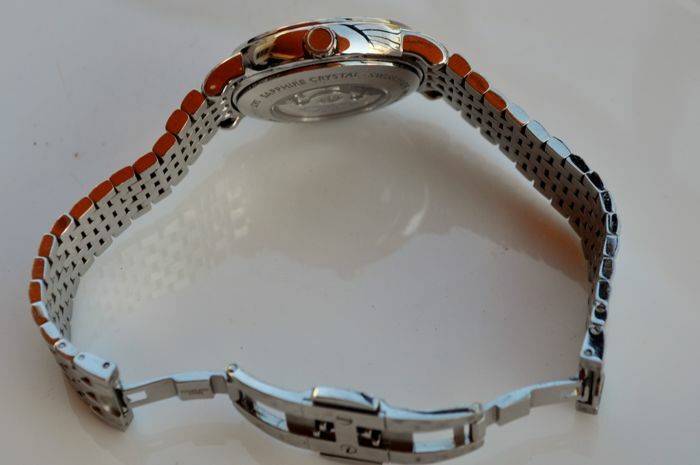 Stainless steel polished in excellent condition, 30 mm in diameter and 9 mm in thickness. 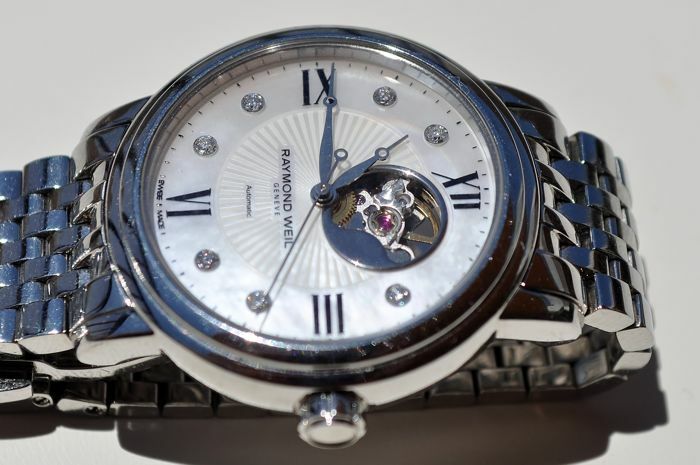 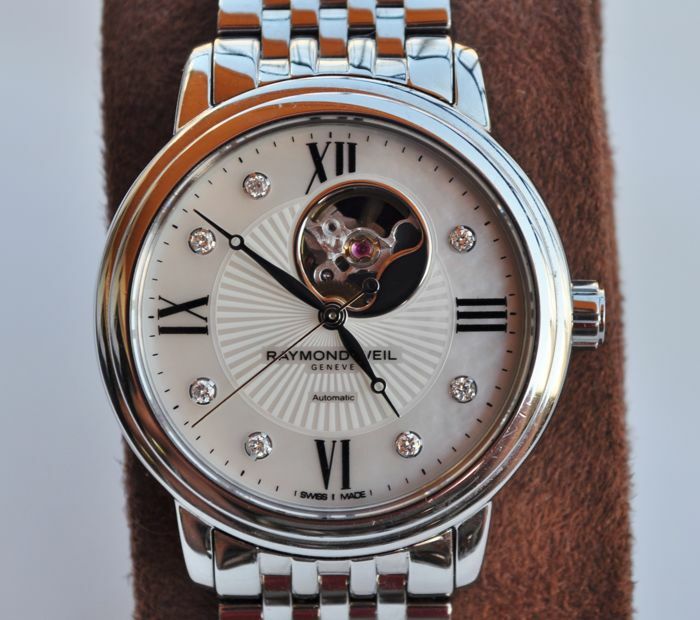 Stunning Mother Of Pearl dial featuring Romans and 7 diamond markers approx 0.07 ct, rodiumed moon hands and open heart showing the balance wheel in as new condition. .
Raymond Weil automatic 25 jewels keeping excellent time. 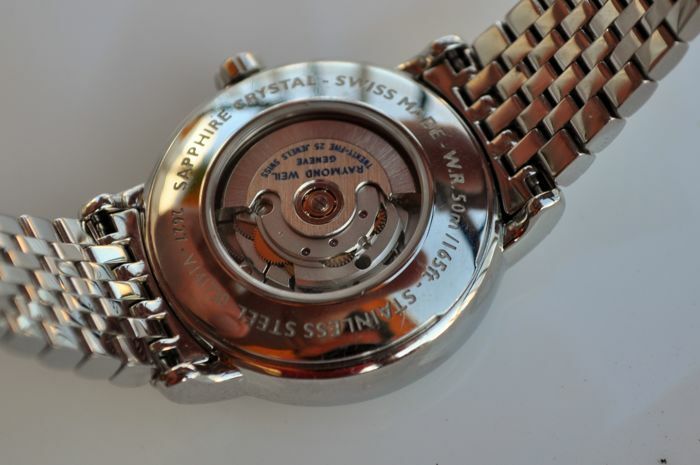 This watch also features a Skeleton case back for viewing of the movement. 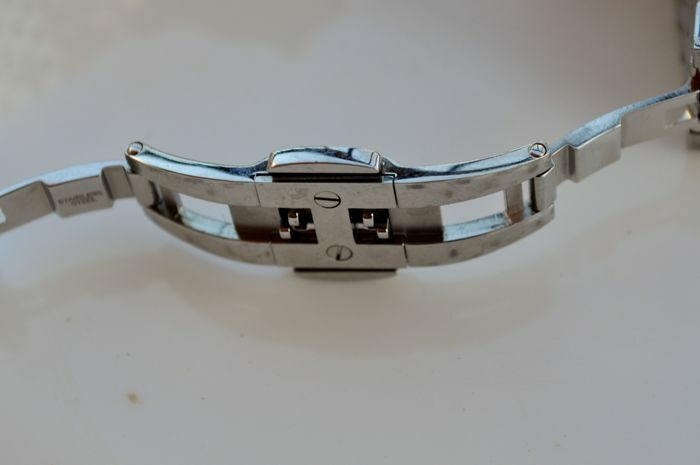 Stainless Steel in fantastic condition, the bracelet is very fluid for comfort 125 mm in length excluding case with double deployment clasp. . 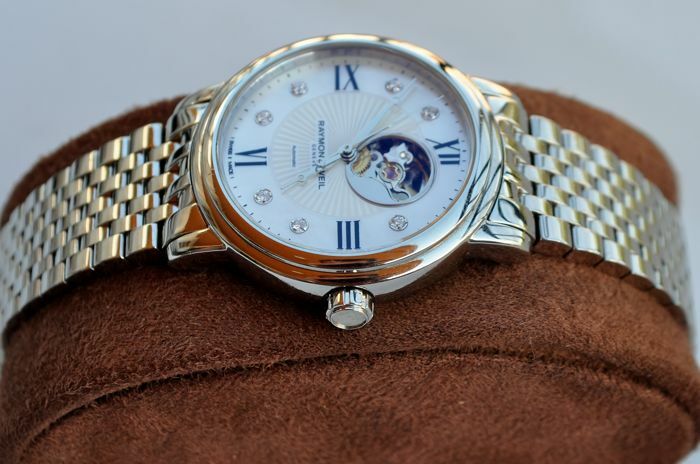 The watch will be carefully packed and shipped securely, please be aware buyers from outside the EU may liable for customs fees.